Do you want an automatic gate that you can activate from the comfort of your vehicle? Do you want trusted visitors to be able to gain entrance by entering a pin-code on a keypad at your gateway? 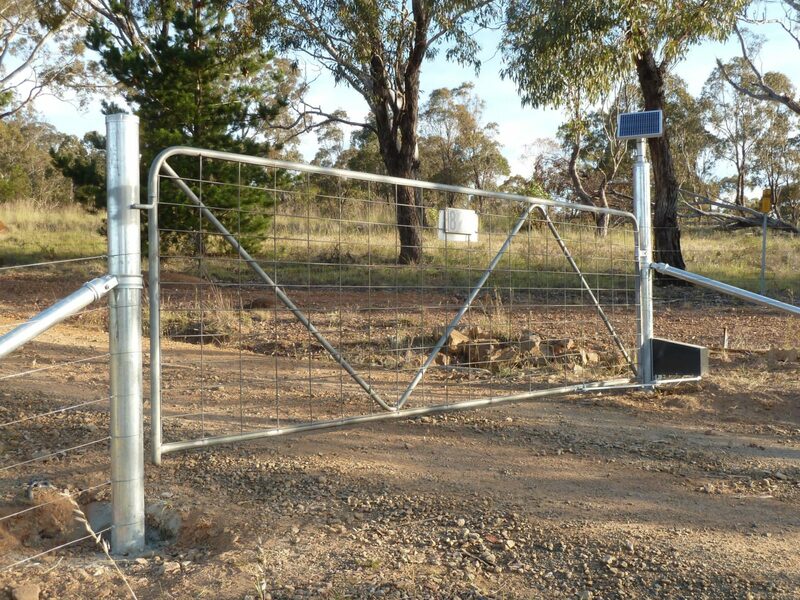 Would you buy a gate operator if it is Australian-Made? 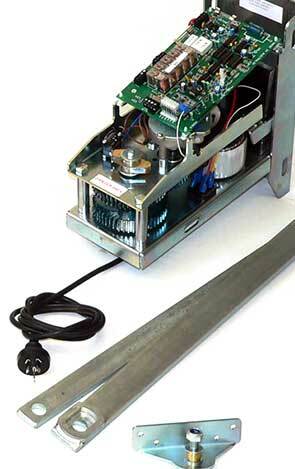 SUN-POWER Auto Gates have been selling the ‘XP’ series Swing Gate Operators for over 16 years. This tough Australian-Made Gate Operator has been around longer than our involvement. All up, the model has been proven over a 24-year duration. With recent improvements to these units that we get made customised to our specification, the evolution continues. The battery-back-up is stronger (9Ah, 12V rather than the older 7.2Ah batteries that were once supplied). The battery in SUN-POWER’s models are protected from over-charge by a Solar Charge Regulator. The reason for the battery in these gate operators is so you get a smooth transition to evening use in the late afternoon and the use continues throughout the night. The battery can power the gate operator under typical conditions (e.g. 12 open/close cycles per day) for up to 2 weeks without the solar panel connected. In one extreme test, we ran the gate operator for over 500 cycles before the battery was depleted. SUN-POWER’s XP Gate Operators are rated at 100% duty cycle. If you’re not sure what that means, ask an engineer. It’s an impressive rating. 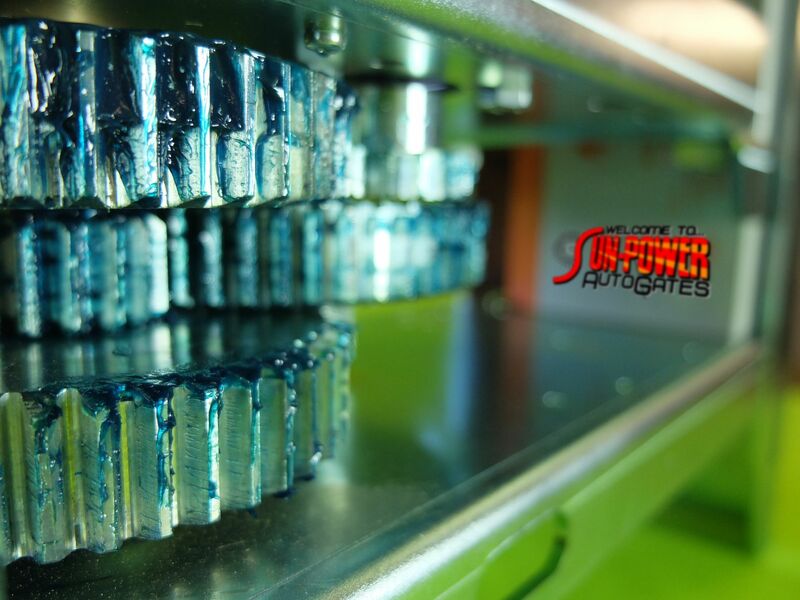 The XP series gate operators from SUN-POWER are extremely efficient. Their stand-by power consumption is next to nil. The power draw during operation is also very low. The electric motor is powerful but is assisted by a large and robust cog array that supplies high-torque without excessive power drain. We liken these machines to the Clydesdales of gate operators. Stronger than Mules, robust and as strong as an Ox. These Gate Operators are Australian-Made. Even the circuit board in this machine is Australian-Made. Unlike the (what we consider to be) inferior technology of a RAM-type gate operator, the XP series Lever-Arm mechanisms deliver superior strength and rugged longevity. You won’t get a better Gate Operator for rural, domestic or light commercial use anywhere on the market. We have researched and compared and ensured we are delivering this DIY Gate Automation installation kit at the best price possible and due to the BONUS offer currently in place, it is absolutely the best value kit on the market. By all means, seek out competing products. You will find cheaper, but you will not find better. Sir Henry Royce once said, “Quality is remembered long after the price is forgotten.” Well, considering the quality and considering the price, we believe we offer you the most competitive product for your gate automation that is available on the market today. If you ever have a problem with your gate operator, call us. We have a full-time technician and other informed sales-team members that can help you solve any problems. We always strive to offer the best possible post-sale customer service in our industry. It is one of the reasons we get so many strong referrals and testimonial feedback on a regular basis. These gate operators last a long time. They are the hardiest sub-$2,000 kit available (and we offer them at $1,295* for Single Solar Gate Operator Kits and $1,795* for Double Solar Gate Operator Kits). If someone crashes through your gate, our gate operator is the most likely to survive enough to be repaired. 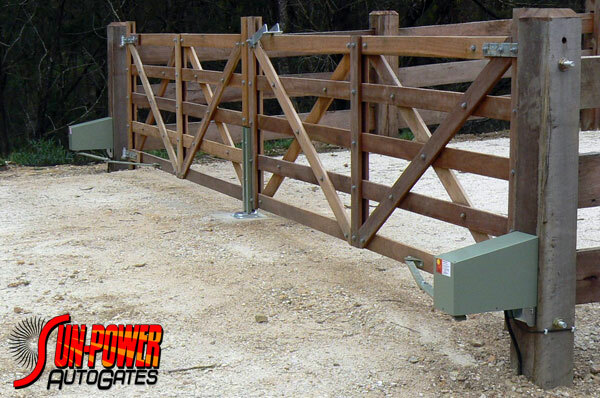 That’s not always possible (usually dependent on whether the gate post is hit), but unlike our competitor’s RAM-type gate operators, the crucial machinery is out of the path of vehicles. RAM-type gate operators have all the crucial actuation equipment directly in the path of oncoming vehicles. 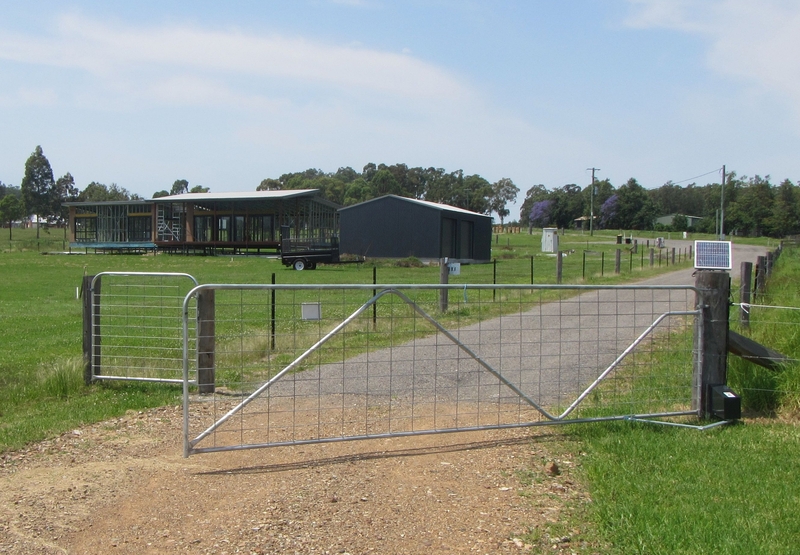 Our Lever-Arm Operator’s motor, gearbox, cog array etc are out of the way, protected by your gate post, and a strong Australian-steel zinc-coated chassis and under a powder-coated gun-metal grey steel cover. *The prices mentioned in this blog post are valid for the time of posting. Prices may alter in the future. This blog post is not an advertisement and no price mentioned here is necessarily considered ‘current’ beyond 2016. Please note, freight costs are extra.